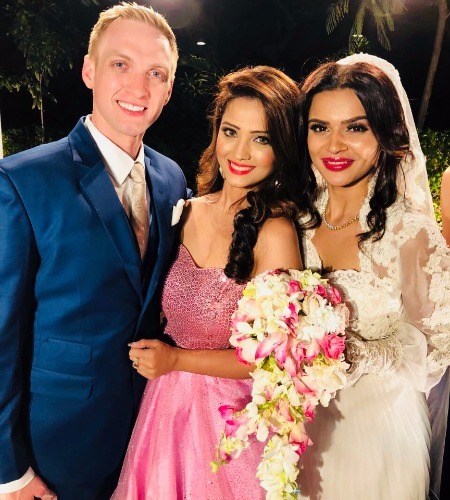 Aashka Goradia and her firangi fiancé Brent Goble had a Christian wedding on Friday. 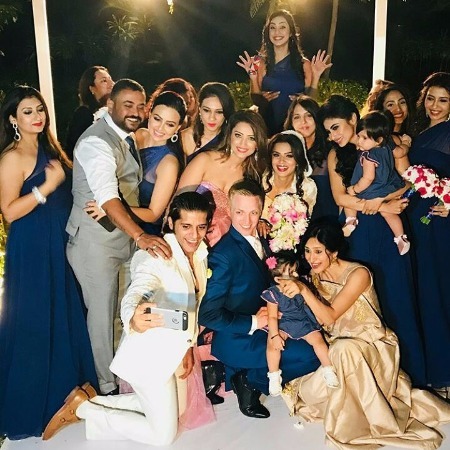 Indian TV actress Aashka Goradia had a dreamy church wedding with her beau Brent Goble on Friday with family and freinds in attendance. After Christian wedding, the couple on Dec 03 will have big fat Indian wedding in Ahmedabad. The Hindu wedding will kick start with with Sangeet and Mehndi, followed by varmala. 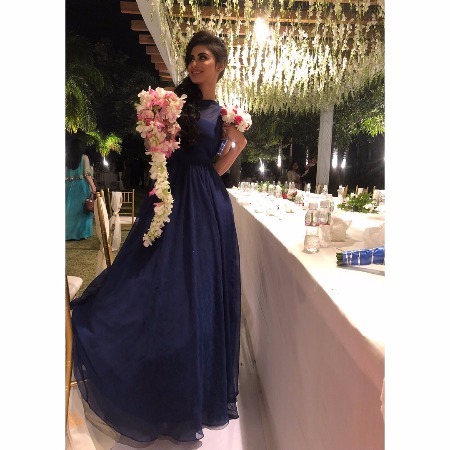 Aashka is seen quite active on her IG handle who is been posting pictures of pre-wedding shoot, shopping and much more. 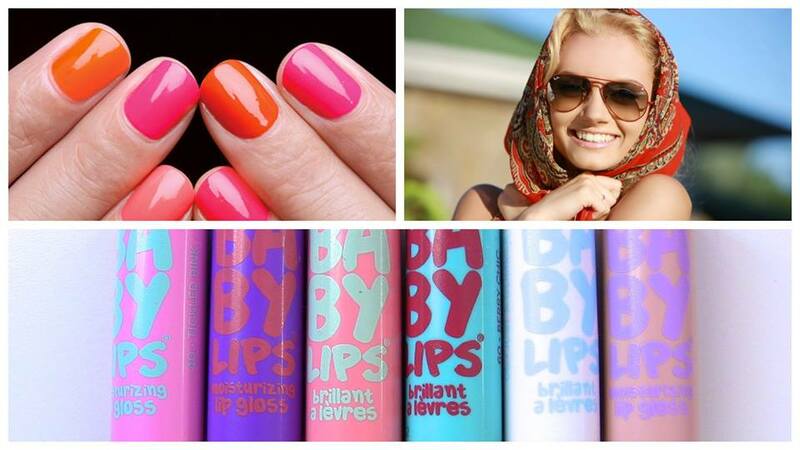 Recently, she shared a video where she was waiting for the arrival of her in-laws at airport. 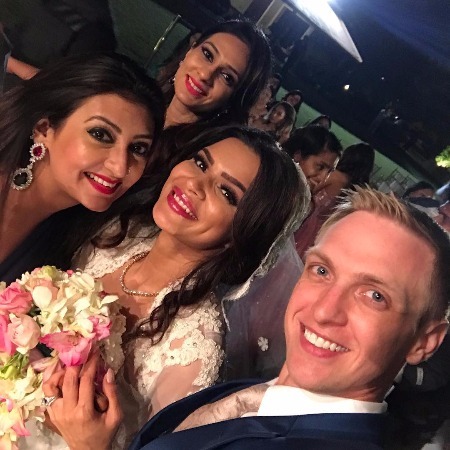 WATCH: First Episode Of Bharti Singh, Harsh Limbachiyaa’s Bharti Ki Baraat Wedding Series! 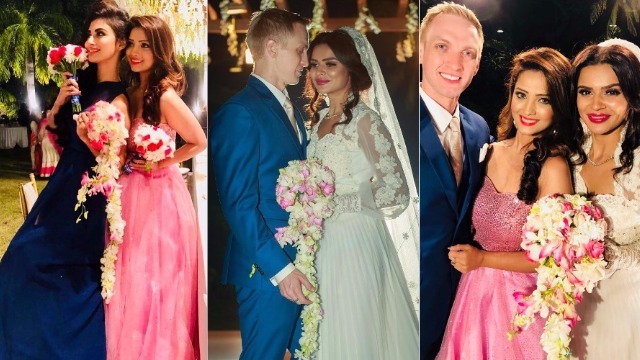 Aashka Goradia and Brent Goble’s dreamy wedding was absolutely resplendent. Aashka wore white wedding gown which belongs to her mother-in-law, Renee. She rounded off her look with ORRA necklace and a bouquet of pink roses and jasmine flowers. 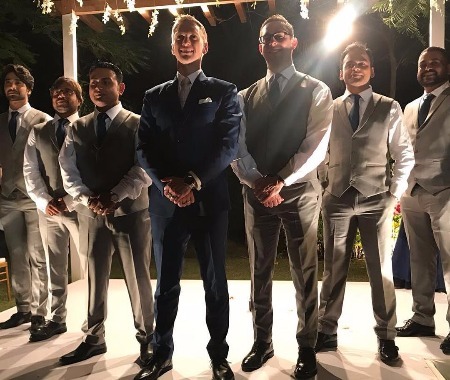 Brent looked dapper in violet blue suit. 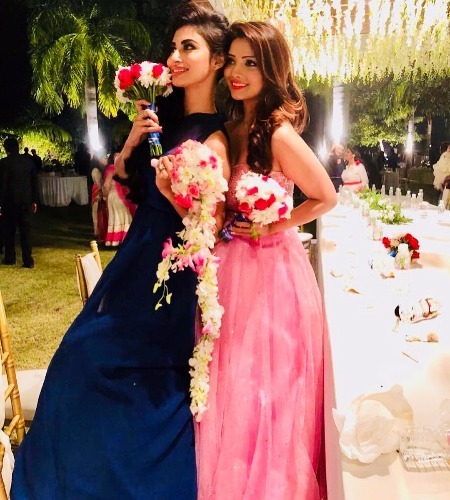 Adaa Khan, Juhi Parmar, Mouni Roy, Kavita Kaushik were at the wedding as Bridesmaid. 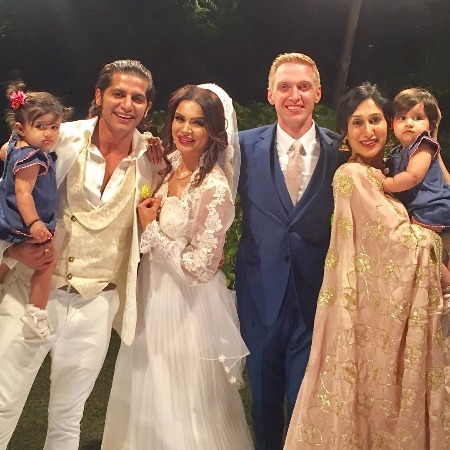 Also seen at the wedding were Karanvir Vohra along with his wife Teejay Sidhu and their twin daughters. Post the wedding, Aashka along with her husband and in-laws will go on a family trip to Rajasthan and Gujrat. Aashka Goradia came to fame after portraying the role “Kumud” in Kkusum (2003–2005) on Sony TV. Aashka and Brent were part of Nach Baliye 8. Next : Bharti Singh and Harsh Limbachiyaa’s Mehendi Pics Are Full Of Fun, Swag and Poses!